Opening of Retro Games Lounge, September 2016. Image: Justin Spiers. 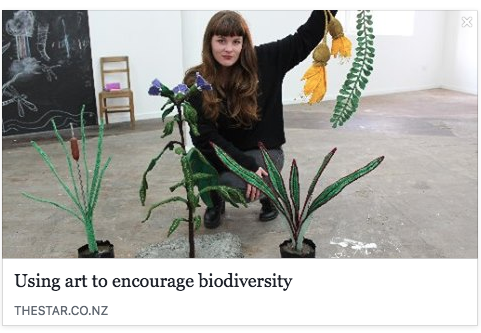 Tamsin Cooper on Dunedin's out-of-the-box first year with UDB and her impressions of where the city is at. October marks a year since I started as broker for Dunedin’s Urban Dream Brokerage. A year on there have been seven fantastic projects in vacant spaces, but I feel like we’ve just begun. Creating new experiences to enliven and enrich our streets; bringing people into the CBD for more than just commercial transactions. I was emerging somewhat dazed from twelve years caught up in the exciting but rather egocentric and commercially focused world of fashion. I had my own eponymous fashion label, selling in stores nationwide, on-line and from a boutique in Dunedin’s Moray Place. I gained first hand experience of the dynamism and possibilities of our inner city. Public knowledge of what Urban Dream Brokerage can do for our city is not yet widespread. When I first began speaking about the service it was the impression of some that we were trying to fill vacant retail stores in a dead city. This is not at all where I see Dunedin as at. I see a city where culture is thriving. Only a couple of weeks ago I was involved in organising a workshop on arts funding at the Dunedin Public Art Gallery. A four hour workshop on best practice for applying for funding doesn’t sound the most scintillating way to spend your Saturday, but the event was completely packed. Here was a room filled with creative groups and individuals, all with new ideas and projects for Dunedin. I’m enjoying focusing on promoting other people’s ideas and supporting creative collaborations and initiatives that offer the community new ways to participate in their city. I loved the world of fashion - working with amazing Vietnamese artisans to create designs in beautiful silks and velvet with hand embroidered detail, the thrill of seeing your collection on the catwalk and, especially, collaborations with the Royal New Zealand Ballet. However it's also exhausting. The pressure to create two commercial collections a year, every year, market your brand and keep the business viable is a crazy constant, extremely stressful and a whirling treadmill that is very hard to jump off. Urban Dream Brokerage allows high quality new ideas to grow in a different way. I’m enjoying working collaboratively: with a strong smart advisory panel who are keen cultural developers and providing a great deal of rigour: locally, Ali Bramwell, Anne Villiers, Cara Paterson, Chanel O’Brien, Josh Thomas, Peter Christos, Vicki Lenihan, Caro McCaw, also property owner David Marsh and in Wellington the Letting Space crew Helen Kirlew-Smith, Mark Amery, Sophie Jerram and Laurie Foon. Having run a retail store I’m aware of the fluctuations in occupancy and how a full and busy street serves to buoy spending. When there is something out of the ordinary happening foot traffic increases. The first UDB project for Dunedin was housed at 187 George Street. The Big Wee Book of Dunedin was a unique interactive experience for the community and writers alike. To walk off the street into a welcoming and colourful space fashioned with designer furniture made from recycled pallets and freshly brewed coffee to contribute an original poem, short story, illustration, or words of wisdom on the topic of Dunedin. These contributions were then collated to create one “Big Wee Book of Dunedin”. This initial project was a fantastic example of what can be created on little to no budget. Designers Malcolm Hayes and Leon Nimmo made connections with neighbouring shops, receiving donations of aromatic coffee to serve contributors and free phones from Spark next door. Property owner David Marsh generously set a precedent - and the space was tenanted only a couple of weeks after this project was complete. A very important part of my role as broker is to encourage collaboration and communication between creative silos. It needs cross-disciplinary, cultural and artform momentum. I have noticed that even in a small city such as Dunedin we tend to work in our own worlds or genre of the arts: be that fashion, fine arts, theatre, dance or literature. The recent UDB project Echoes installed in Wall Street Mall in August was a great example of collaboration: one between the digital artists using new technology, the Hocken Library archives and a participating public - in a very public and accessible space away from a traditional library. We have recently launched Retro Games Lounge at 125 George Street. It’s an interactive display of iconic late 70s - 90s home computer games where you can walk in off the street, free of charge, and play classics such as Donkey Kong, Ms. Pac-Man, and Space Invaders on the original machines set-up in one of eight gaming stations. These games, consoles and computers have been selected from what is arguably the biggest retro gaming collection in New Zealand. To date we have had over 1500 visitors in just five days. Interactive, interesting and engaging projects that are accessible to all can only enhance our experience of the city, give us new reasons to walk the pavements and ultimately have a positive commercial outcome. I hope that with this year’s high calibre of diverse projects and with the foundations and relationships we are continuing to build, that Urban Dream Brokerage will become an essential part of Dunedin’s thriving culture and streetscape. Now we're waiting for your new ideas, so contact us so we can find space for them!